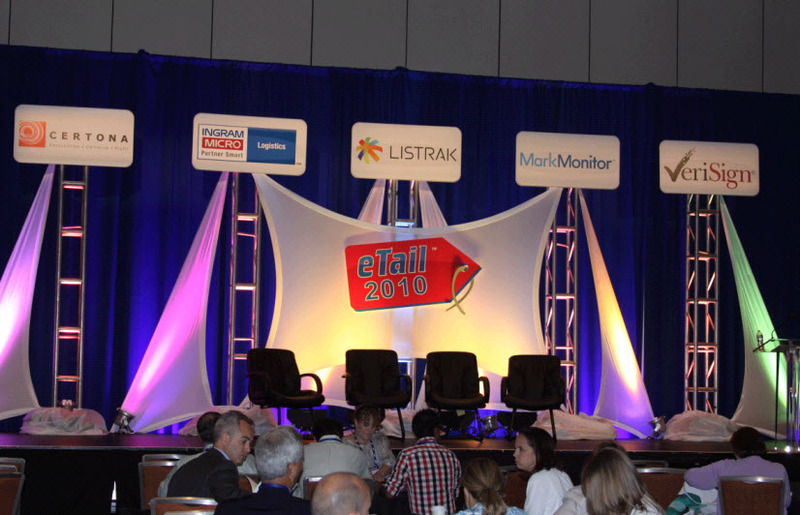 I spent few days this week at eTail East in Baltimore, where the leading retailers came together to discuss latest trends and best practices in the industry. I walked away with a renewed enthusiasm for what's happening in ecommerce-- it's an exciting time. The most exciting takeaway for me from the event was the emergence of social ecommerce and mobile ecommerce. Both present new opportunities and challenges for retailers. And video will be a key part of the success. Community drives brand loyalty and product sales. But doesn't necessarily make sense for every retailer. If you do decide to build community, make sure you have a well-defined plan and resources to make it a successful reality. Rob Harles, VP of Community at Sears Holding Corporation, presented a great example with MySears. Use social media wisely. Having clear goals, picking the right channels, monitoring, listening, and engaging are core to success for retailers using social media. Zita Cassizzi, VP at Dell.com, outlined Dell's comprehensive approach to social media. Make Facebook a central part of your social commerce strategy. According to Foresee Results, among online shoppers who are engage in social media, 80% of them are on Facebook. In other words, shoppers are already on Facebook and it's where they want to hear from retailers. While Twitter and other social media should be part of the mix, Facebook is a "must have" part of the mix. Make sure your website is "socially enabled". Retail sites should evolve from an irrelevant corporate website to one that is a hub of shopper activity-- one were shoppers can share the experience of other shoppers to make product decisions. Incorporating ratings and reviews and the Facebook social graph ("Like" button) are examples of how to do so. Where Video Fits In: Video does a particular effective job at telling a product's story, which is the "social" part of social ecommerce and therefore should not only be part of the core shopping experience on the retail website, but also part of the core shopping experience in Facebook and other social media. Key considerations in ensuring video has a material impact on customer engagement and conversion on the social web include in-player social sharing capabilities, seamless integration with Facebook, including support Facebook open graph social plugins in the player, and an interactive video shopping experience with clear calls to action. Develop a mobile strategy in conjunction with your overall strategy. Mobile should be aligned with business goals and marketing strategy-- whether it be part of optimizing search or part of loyalty based program-- and not be viewed in isolation. Focus on the platforms that currently dominate the market, namely iOS and Android. These two own the lions' share of the market and should be in the forefront of planning. Focus on the mobile web, as well as mobile apps. Every retailer site should be mobile browser-friendly, as shoppers will increasingly access sites via mobile devices. Mobile apps should also be part of the mix, as they represent a way for retailers to gain incremental sales. Lacoste, HSN and ShopNBC are examples of retailers who have created mobile web and mobile app shopping experiences. Where Video Fits In: As retailers develop a mobile strategy, they will need to ensure video content can be consumed by shoppers across different platforms and devices. This is especially true for retail sites that already have a large amount of video or plan on utilizing video as a core part of how they sell products. A key part of mobile ecommerce, therefore, is making sure that video on mobile browsers and in mobile apps support both HTML5 video and Flash seamlessly so that users across devices have the best shopping experience. Warehouse.co.uk provides a good example of a retailer ensuring video is a core part of the mobile shopping experience. Stay tuned: we'll continue to explore the impact of video for retailers in social ecommerce, mobile ecommerce and beyond in a series of video interviews with industry leaders and attendees of eTail East we'll be publishing shortly.